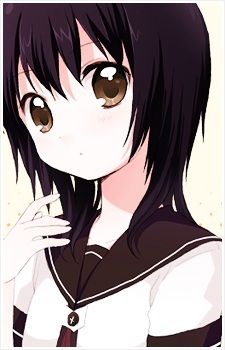 A cool-headed girl with dark hair who often acts as the voice of reason, Yui is the childhood friend of Akari and Kyouko. She enjoys video games and is shown to be a good cook, leaving Chinatsu obsessed with her food. She is a reliable friend and lives alone in an apartment complex, and although she won't admit it, she tends to feel lonely when others, particularly Kyouko, aren't around. Although generally quiet, she will sometimes burst into stifled laughter upon hearing Ayano's puns.